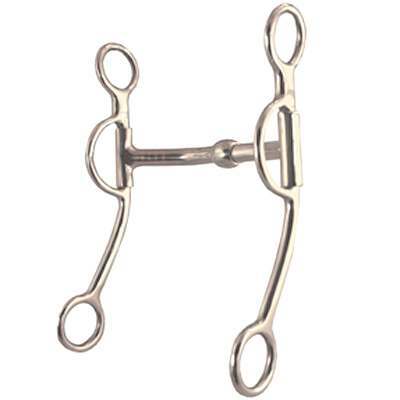 This Robart Pinchless Walking Horse Bit is made from the finest materials available. Extraordinary feel, yet are easy to work with and provide maximum comfort for your horse. If you are in need of robart walking horse bits we have just what you need. This Robart Pinchless Walking Horse Bit that we have to offer allows control of gaited horses especially those who are loose gaited. All Robart Bits use pressure instead of pain to train. View the product image above and check out the precise details and craftsmanship put into this remarkably durable Walking Bit. The size of this item is 8 1/2'' shanks and is made of top quality materials. All the robart horse bits that we have to offer are in stock and ready to be shipped. This bit was engineered to last for many years.